SEO: How Long Does It Take to Work? One of the most common questions from clients to their chosen digital agency is how long will it take for SEO to work. If you are looking to promote your business online and grow your customer base, you must be equally concerned with the time it takes to consolidate traffic via search engine optimisation. Your goal is to get your website address near the top of the search results when interested people are looking for companies like yours. That is where all the attention goes and, frankly, who cares to look on the second, third or tenth page of search results? This is why you need to get close to the top through professional SEO. Do you really have what it takes to go down that road – for example, patience? If you wonder, how long does SEO take to show its effects, the answer isn’t a simple one. It’s about understanding the process and choosing the type of SEO service that’s relevant to your situation. Too many clients are anxious to get the first real results, and it is perfectly understandable. They pay a certain amount of money and want something satisfying in return. But SEO is an investment and should be treated as such. This means that it will start making noticeable changes with time. This positive effect can grow from there, further and further. How long does it take to actually DO the SEO work? The optimisation process in itself does not have a specific duration; it can be anything from a couple of days to months. 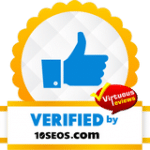 It is not recommended to use any ‘overnight’ service that promises quick results, as those are employing black-hat, illegal SEO tactics in order to get their money. In the end, your website is left without any real improvement and might get some very serious penalties. As for the legal, beneficial SEO work, it is more of collaboration. the skills and expertise of your chosen SEO experts. All of these aspects can and should be discussed with your initial consultation with the selected digital agency. This also depends on the tactics being used, as some are quicker to yield results than others. To witness a real change in the ratings and traffic, it can take up to several months. Usually, two months are considered a decent time for that to happen. However, some say you should give it between 4 and 6 months. If your SEO agency tells you it will take even longer, believe them and don’t feel disappointed – it’s a good sign. When they take time to implement various long-term strategies, it means they are committed to results and are doing everything they can to obtain the best. Thus, it may take up to one year to see what really good SEO can do and it’s surely worth it. Keep in mind that faster doesn’t always mean better. Therefore, avoid falling into that trap and put your money to good use instead. What happens during the waiting time? You won’t be just waiting for a bunch of people to drink their coffee and cater to your website. There’s much that happens during the wait. First of all, your digital agency has to perform an audit. Consequently, they identify the weak spots that call for improvement. This gives them a hint for the best tactics and tools to use. Next, they’re tailoring a most suitable strategy. Good SEO will also involve the high quality content creation, which can take several weeks to produce and publish. Also, some of the old content may need some brushing up and updating. Then, you need Google and the other search engines to re-crawl all of your pages and make them visible to users. The optimisation will also involve a lot of research, beginning with a quest for the best keywords to use, observing the competition as well, then generating relevant content around these keywords. 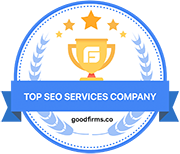 Moreover, the SEO agency you hired will have to build links, which is an integrative part of any SEO strategy that’s worth the money. Why is quick SEO bad for my business? You keep on hearing this but why is it that way? It was already mentioned that bad and especially illegal SEO is using tactics that are not in line with the search engine expectations. In consequence, the website gets penalties, which damage its image in the long run and stop your business from thriving. Agencies or ‘experts’ offering such services are not interested in the quality and the mandatory long-term relationship with their clients. They’re only interested in numbers – in getting as many short-term clients as they can, to be able to make money quickly and have a stuffed portfolio. Real experts don’t need as many clients as they can get; they might even refuse some if they feel they cannot do the work or there is no professional match. Even if you think quick SEO might give you a welcome affordable short-term boost, it’s too much of a risk and it doesn’t work this way. Your traffic cannot suddenly explode, therefore anyone promising you that is not having a realistic approach and will harm your online reputation. What can stand in the way of SEO results? There is a number of factors that may hinder the process and delay the results. If your website is old and seriously outdated, it will take a significant amount of extra work. In case it got Google penalties in the past, it will need more time to recover and to have its image fixed. Thus, the website’s past performance and its history overall will play an important role in how soon you see results with SEO. Also, not only old websites can have issues. The brand new ones are a challenge, too. This is because they have not much of a proof that they do good business. It’s like a person with no work experience – they might have a hard time getting hired. Thus, prospective online customers might see your site but fail to trust it, since there isn’t much evidence that your business is worthwhile. That’s why you need to build its reputation – start acquiring links, posting great content and launching promotional campaigns. When your SEO professional tells you that it’s going to take time, they’re not being lazy; they’re actually ready to start working consistently on your case. If you want your business to succeed, you cannot go around it, SEO will accomplish it and the results are worth waiting for. Contact BestSEO4U to discuss the possibilities with a member of our team and decide together which services to use. We can cater to a wide range of tasks, from doing a few simple corrective tweaks to rewriting your website and backing your brand with top-notch content. 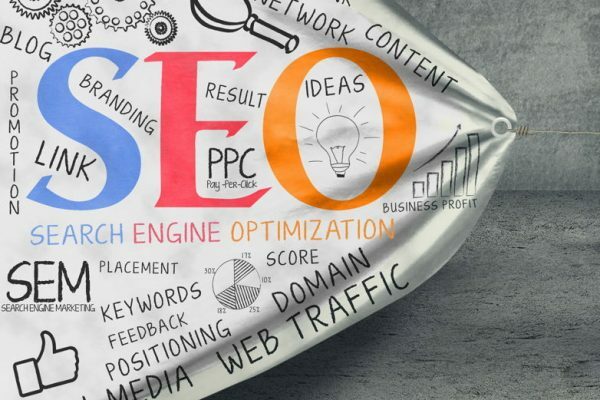 The prices will be tuned to your budget and expectations, so don’t waste resources and spend funds on inefficient pre-tailored SEO packages that do not respond to your needs.